Do you struggle with sales? Does asking for money make you uncomfortable? It happens Thursday, November 3rd at 10am Pacific. 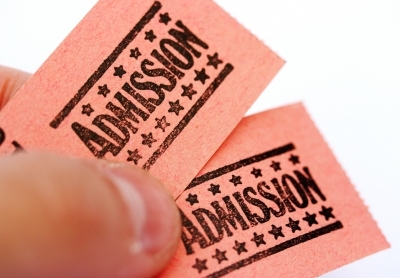 Register in advance to get the room key, and I will see you on iMeet (our webinar platform). Can't make the webinar? The audio, video and notes will be posted in Marketing Classes area within 24 hours of the webinar. Or you can catch the seminar version on-site at Hatch on Friday, November 18th. Are you a speaker? Are you ready to get paid to speak? Do you want to make speaking a significant revenue stream for your business? Tired of sitting in the audience while others are getting paid to speak on your topic of expertise? Want to speak but don't know how to get the good gigs? Did you know that there is an actual road map and a toolkit for attracting paid speaking gigs--and it can be yours! Discover how to get paid speaking gigs at theSmart Speakers Get Paid to Speak Workshop. 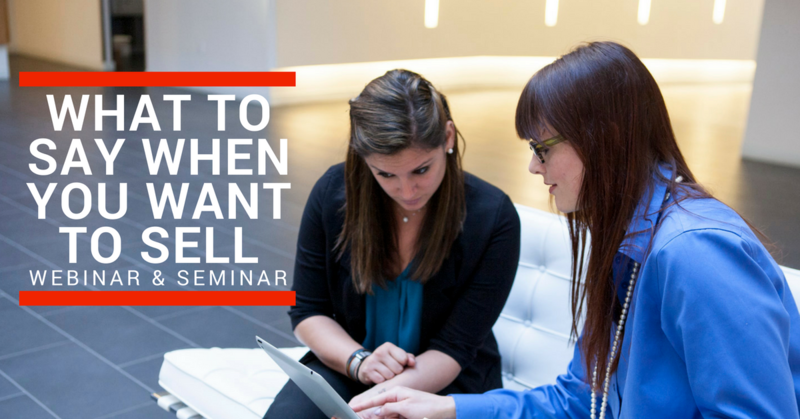 Fair warning:This workshop is not about how to speak, or what topics to cover. We will focus 100% on how generate revenue from speaking to audiences around the world. When (and why) to speak for "free"
And tons more in your Paid to Speak Tool Kit! Both of these resources are ready for members right now--instant gratification, baby! Tired of sitting in the audience while others are getting paid to speak on YOUR topic of expertise? Ready to add speaking to your services list but don't know where or how to get the good (paying) gigs? Good news: There is an actual road map and a toolkit for attracting paid speaking gigs--and it can be yours! 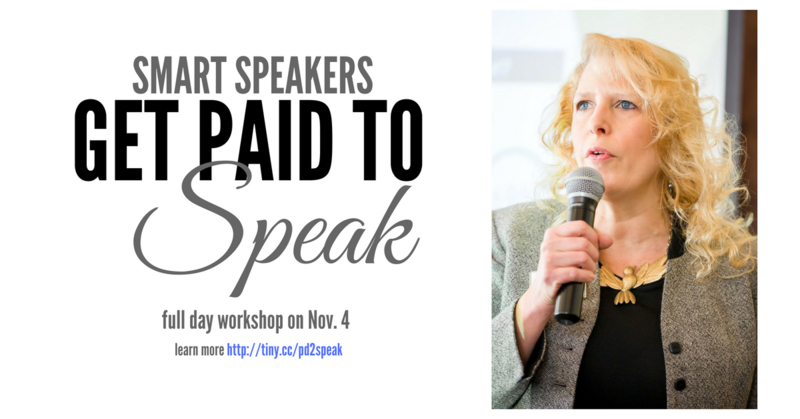 Discover how to get paid speaking gigs at the Smart Speakers Get Paid to Speak Workshop on Friday, Nov. 4 at the DIY. Fair warning: This workshop is not about how to speak, or what topics to cover. We will focus 100% on how generate revenue from speaking to audiences around the world. Registration includes a speaker's toolkit plus bonuses. 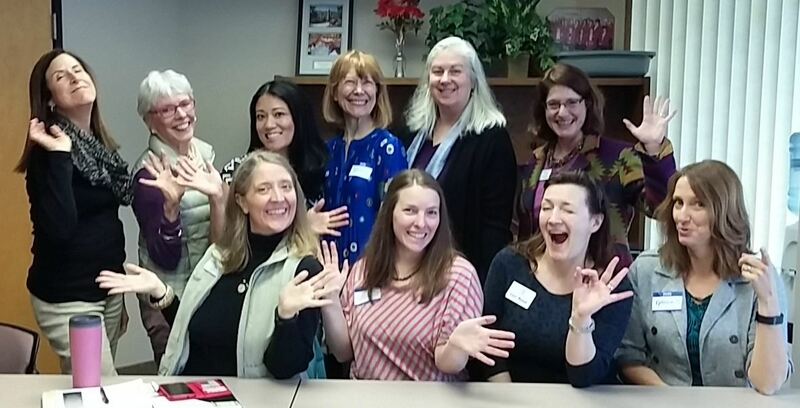 Twice a month we get together to "mastermind" or in other words, to learn, network, share ideas and support each other. The first Mastermind meeting of October happens on Wednesday from 9:30-11:30am in Vancouver, and you are invited. Registration is appreciated, but all Premium and Standard are welcome to just show up. Hope to see your smiling face there! I want you to maximize your time with me so that you get what you need, and feel confident, supported, and ready to get on it after our meeting. Did you know that the best way to get more value out of your one-on-one (1:1) coaching is preparation? Yeah, it's actually pretty simple, and you can see what to do to prep in your confirmation email and on the 1:1 Coaching page in the Members Only area of the membersite. And speaking of 1:1 coaching, please note that the policy regarding cancellations and rescheduling has been updated. You may now cancel or reschedule your meeting via our online scheduler at any time up until 24 hours before your scheduled appointment. However, after that final 24-hour window closes, your appointment cannot be rescheduled so it must be used or lost. This means that your session will not be returned to your account or refunded if cancelled during that 24-hour window. This updated policy will stop last-minute cancellations that mess up my schedule and deprive others of the opportunity to schedule sessions in a timely manner. If you've resisted webinars because the technology seems scary or the process appears overwhelming, you're going to be thrilled with this information! Discover the 3 steps to developing and producing a better webinar, without fear or struggle; get the exact list of tools you need to produce what looks like an effortless webinar to your audience; and learn the best strategies for preventing most glitches and problems; plus a surprising (and super easy) way to monetize your webinar. Join me on Thursday, October 6, 2016 at 10am Pacific on iMeet to learn How to Produce a Better Webinar in 3 Easy Steps. Register to get the password.